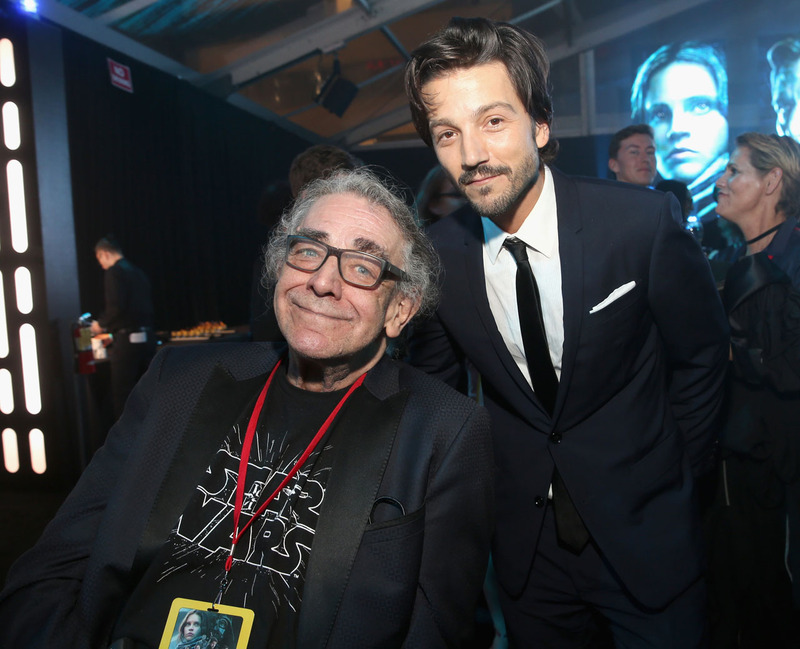 Rogue One World Premiere and After Party Photos! The Walt Disney Studios and Lucasfilm held the massive Rogue One World Premiere at the Pantages Theater in Hollywood last night and we’ve got photos from both the premiere and after party! You can view the premiere and after party photos in the gallery below. If you missed it, you can still watch a replay of the Rogue One World Premiere live stream by clicking here. 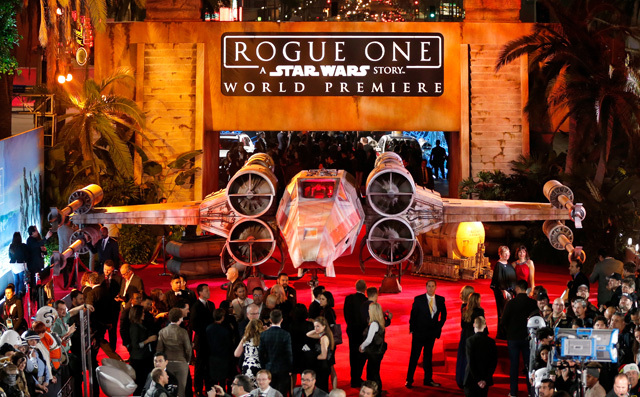 Attending the Rogue One World Premiere from the film were Felicity Jones, Diego Luna, Riz Ahmed, Ben Mendelsohn, Mads Mikkelsen, Alan Tudyk, Donnie Yen, Gareth Edwards (director), Kathleen Kennedy, Allison Shearmur, Simon Emanuel (producers), John Knoll, Jason McGatlin (executive producers) and Michael Giacchino (composer). The special guests included J.J. Abrams, Christian Bale, Elizabeth Banks, Mayim Bialik, Donald Faison, Nathan Fillion, Topher Grace, Seth Green, Moby, Chris Hardwick, Laurie Hernandez, Simon Kinberg, Jaime King, Rachael Leigh Cook, Peter Mayhew, Anthony Daniels, Ewan McGregor, Breckin Meyer, Rene Russo, Ty Simpkins, Kevin Smith, Milo Ventimiglia, Wil Wheaton, Rainn Wilson, Steve Yedlin, Micah Fowler, Kyla Kenedy, Ariel Winter, Miles Brown, Carly Hughes, and Marcus Scribner. Rogue One: A Star Wars Story is opening in theaters on December 16, 2016.